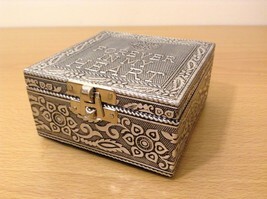 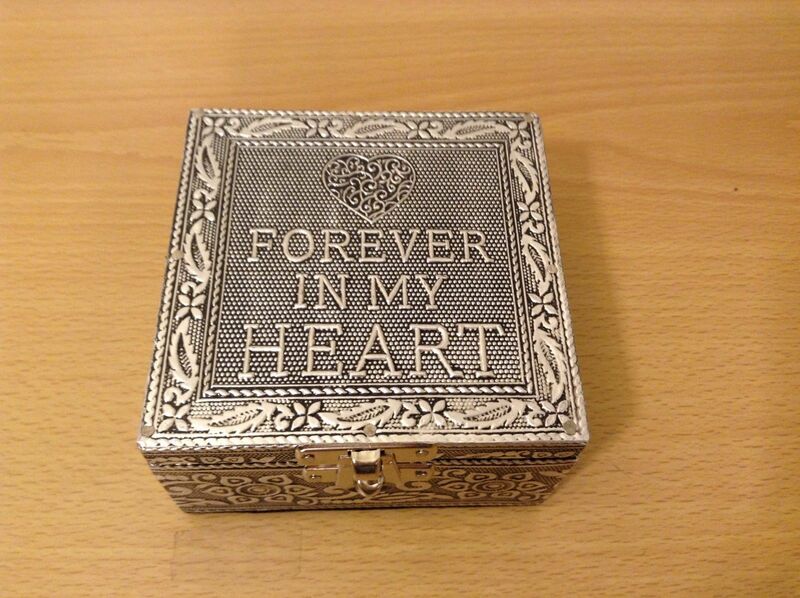 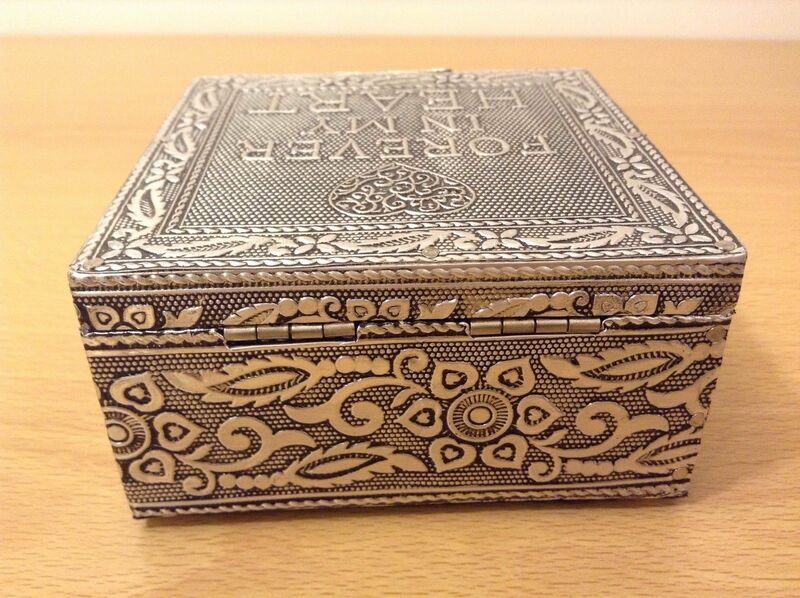 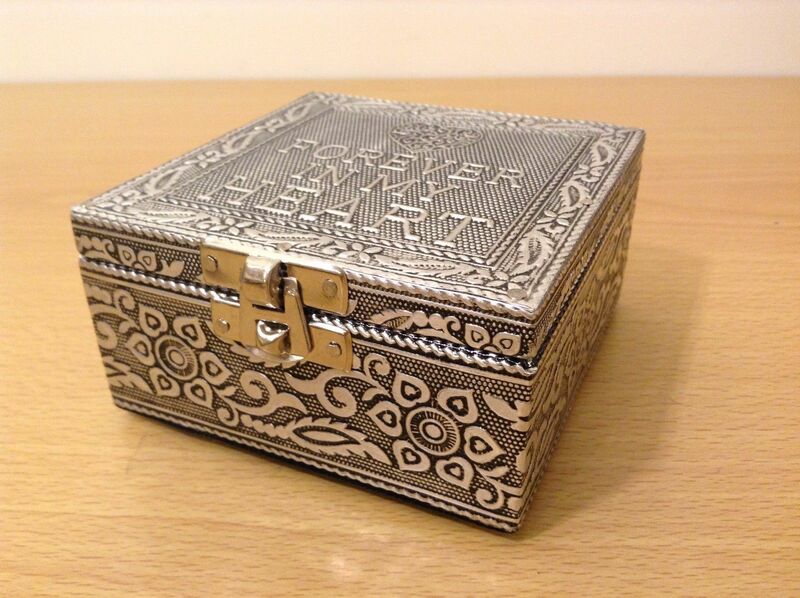 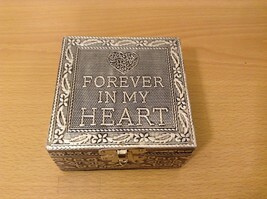 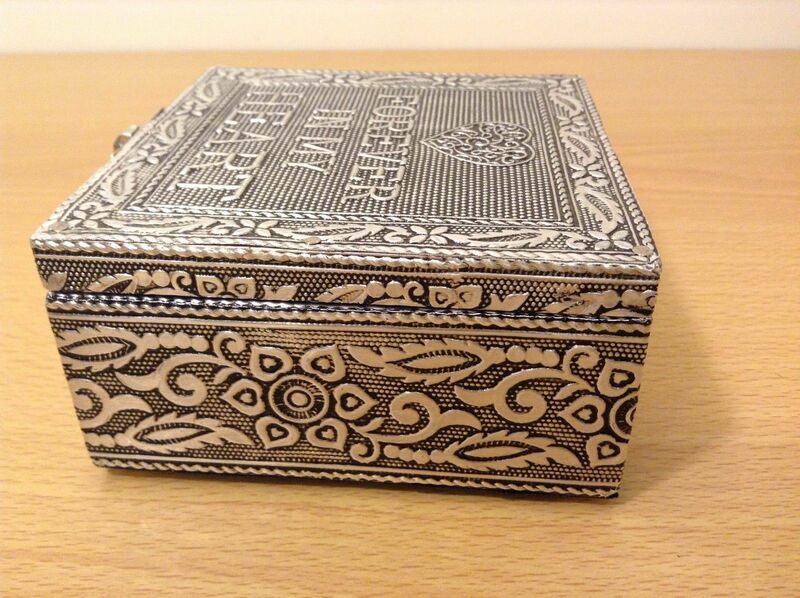 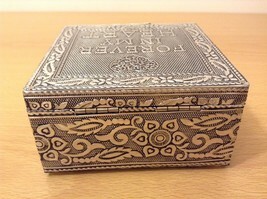 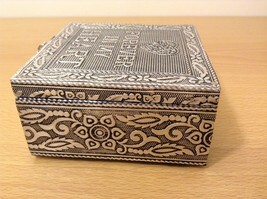 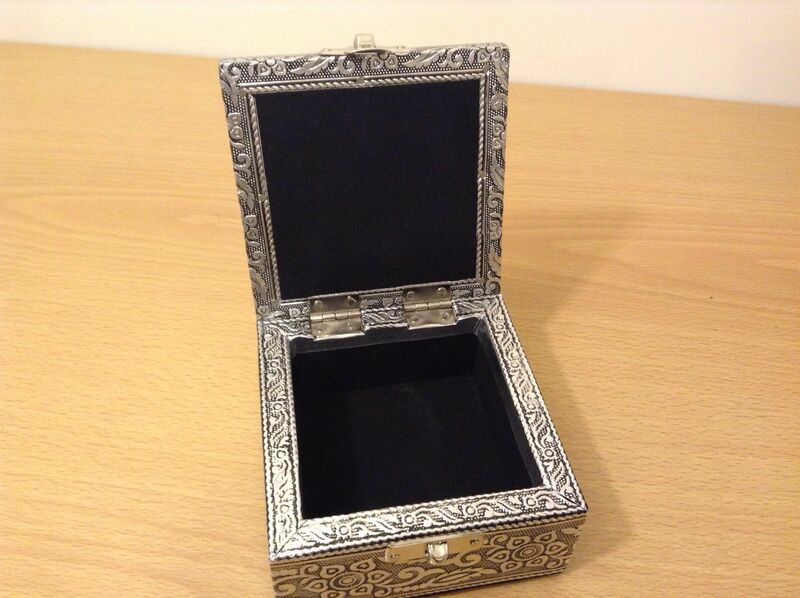 This is a new in box wood and metal Forever In My Heart Cottage Garden handcrafted trinket box. It is made in India. 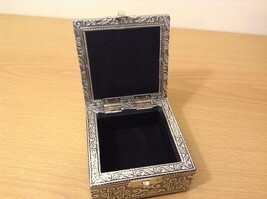 Silver toned metal with a black fabric lining. 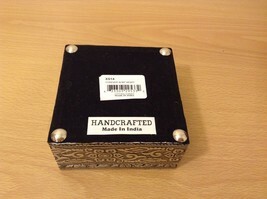 Measures 4"x4"x2" high.